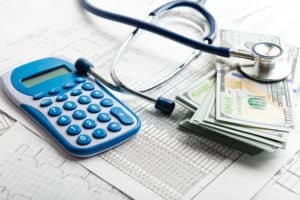 The CHANGE HEALTHCARE HEALTHY HOSPITAL REVENUE CYCLE INDEX estimates that out of the $3 trillion in claims that were submitted in 2016, 9 percent ($262 billion in charges) were initially denied. For your average health system, that adds up to as much as 3.3 percent of NPR, dinging them for an average of $4.9 million in jeopardized cash flow. When you consider the complexity of the HME/DME billing and the ridiculous reasons some claims are denied, it’s no stretch to believe that every facility should focus on obtaining as much insight as possible to their HME/DME denials. Are Denial Managers Too Comfortable With HME/DME Risk? Many denial managers, though, are a little too relaxed when it comes to the level of DME denials risk they expose themselves to, leaving their appeals processes to pick up slack in the claim creation and submission process. This approach not only falls short of an effective pre-denial prevention program but also exposes facilities to an often unnecessary and expensive appeal process. Change states that we spend $8.6 billion on administrative appeal costs across the country, which breaks down to $118 per claim — and that’s on top of the fact that only 63 percent of denied claims are actually recoverable. Technology-enabled business intelligence and flexible reporting which aggregates data sources which include EDI 835s and 837s, EOBs, ACH, and checks are critical to this approach. Access Denial Intelligence opens the door to denials risk mitigation and trend insight for proactive denials managers across the country.